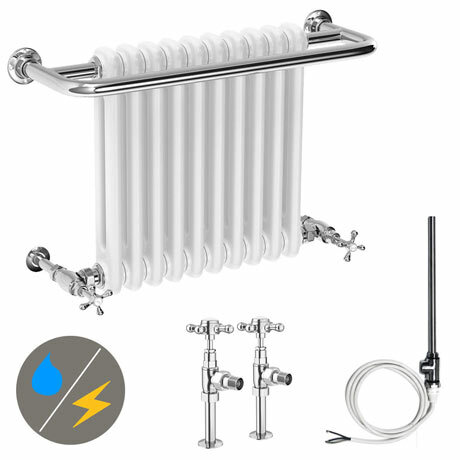 The Bromley is a traditional wall mounted heated towel rail combining classic towel radiator styling and functionality. A must for all bathrooms, Bromley traditional heated towel rails provide comfort and relaxation. Dual Fuel Radiator: Can be connected to the central heating system, and also to the electric socket.